Today at the Wyandotte County Fair – Welcome to Wyandotte Daily! Free concert: 7 to 10 p.m., Reyes Brothers Band, Free Stage. 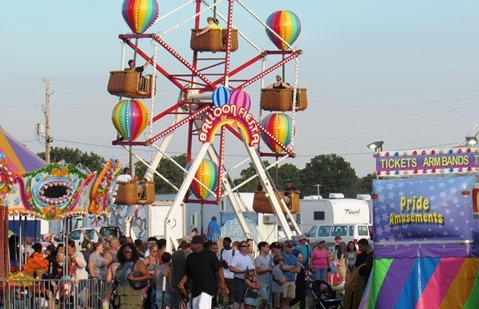 Free Magic Show: 5 p.m. and 7 p.m.
4-H Sheep Show: 5:30 p.m.
4-H Goat Show: 7 p.m.
Carnival: 5-10 p.m. Today is Carnival Wristband night, with wristbands for $15 to ride all rides. This is the lowest price on the carnival wristbands during the fair. Dates: The Wyandotte County Fair continues from July 10-14.